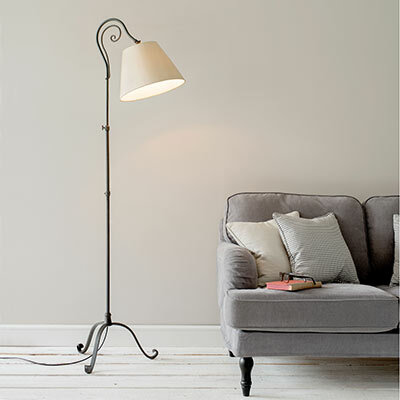 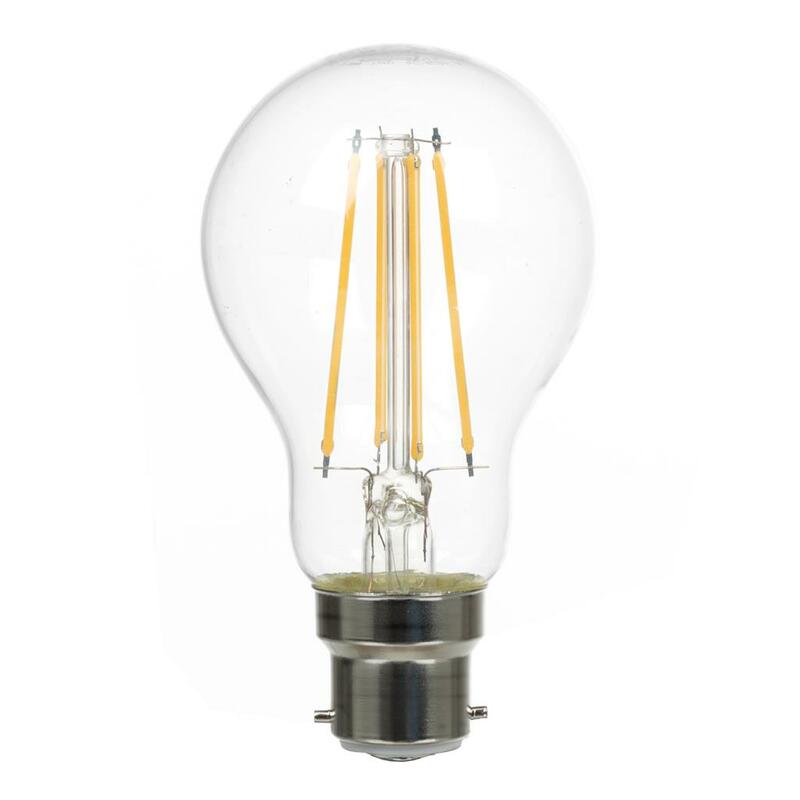 The Brompton is a hand forged, adjustable, solid steel standard lamp that has been specially designed as a reading light - ideal for use in a living room, study or bedroom. Featuring a beautiful spiral frond that emerges from the top of the stem, arching over the bulb holder, and a fully adjustable stand, it is as decorative as it is practical. This Brompton is finished in beeswax, a traditional technique used since Tudor times. 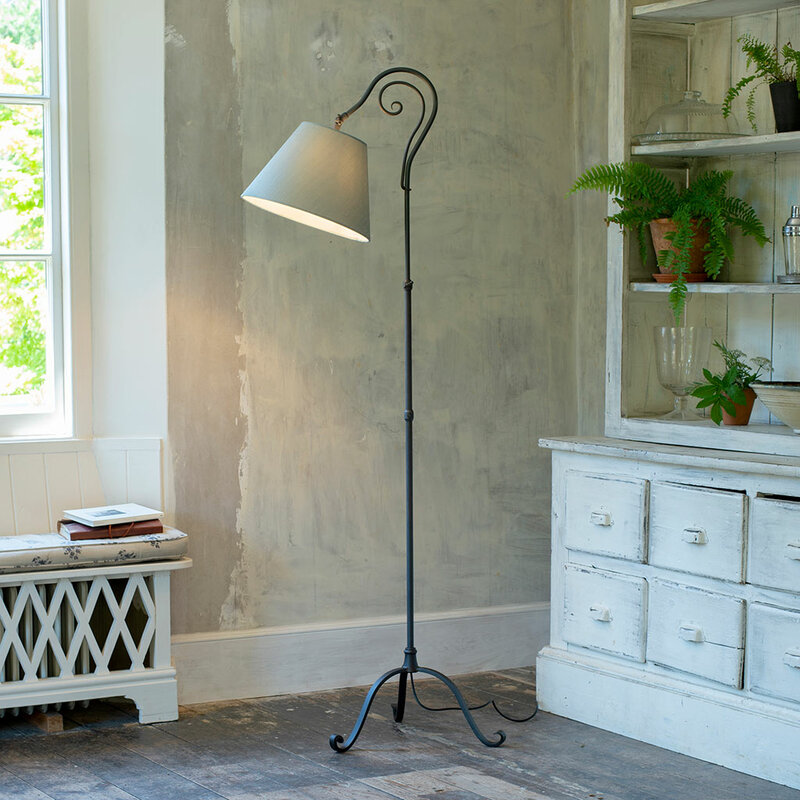 The metal is heated until it darkens and then dipped in natural beeswax which gives is a lovely soft, black wrought iron effect which looks fabulous in any traditional or contemporary interior. 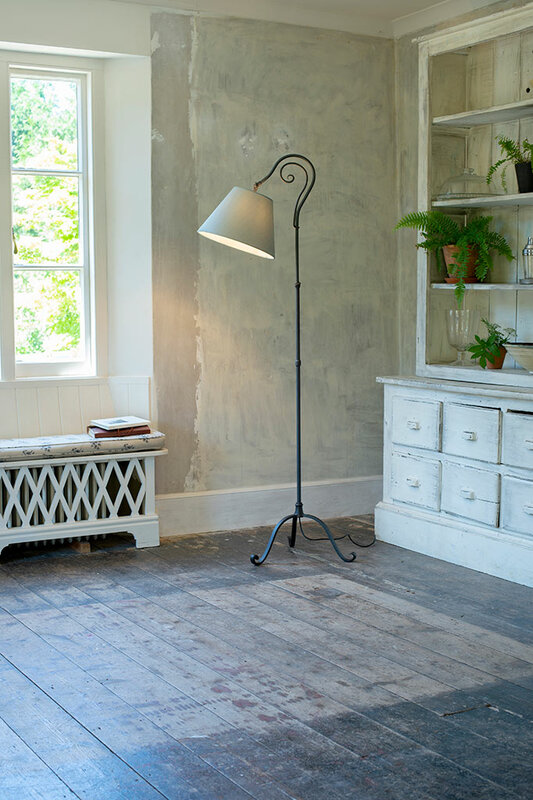 To keep your Brompton in tip top condition, you will need to buff it occasionally with a natural beeswax polish. 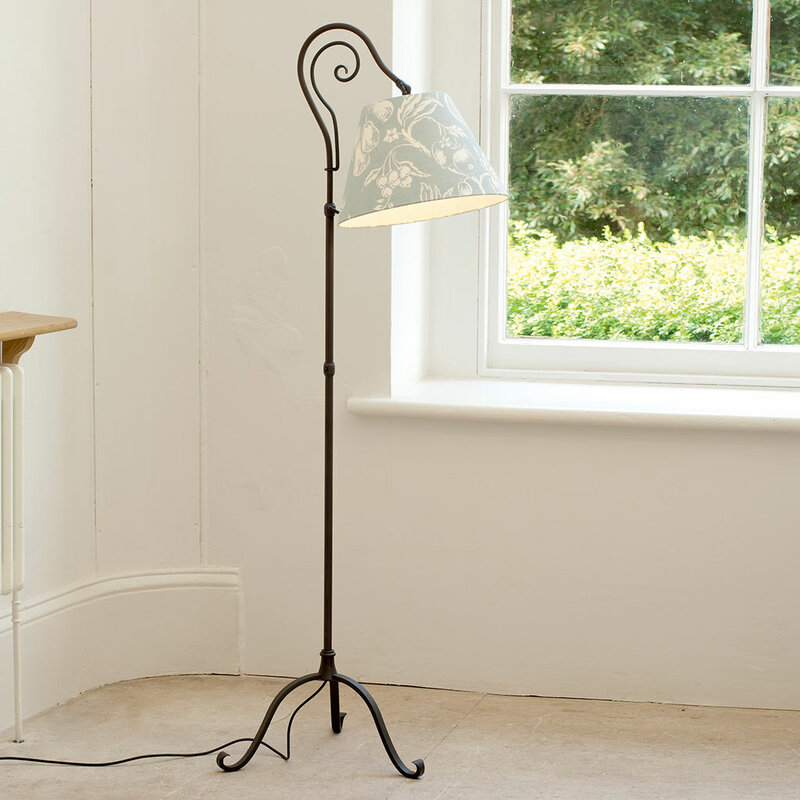 Kindly note that due to its design, the Brompton requires a ceiling pendant style lampshade (as the bulb points down in the same way as a pendant light) and not a normal table lampshade. 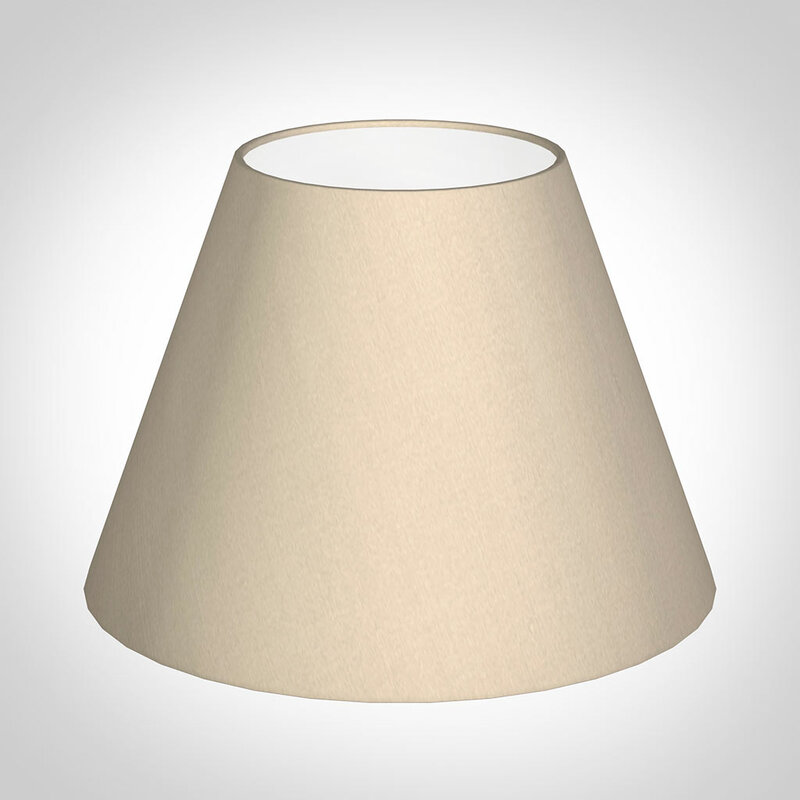 Please see our recommended shades below for more information. 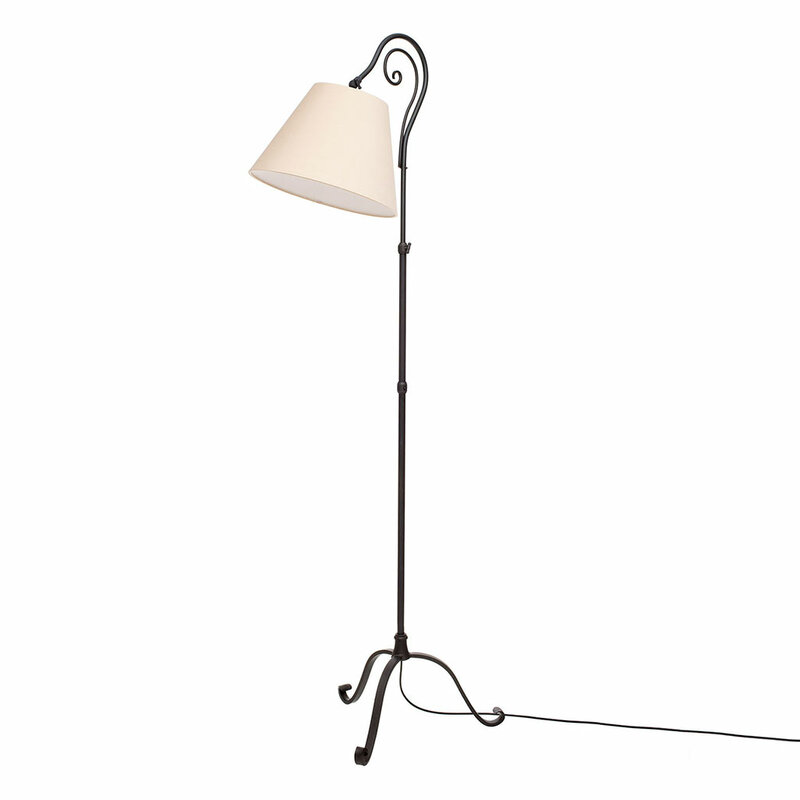 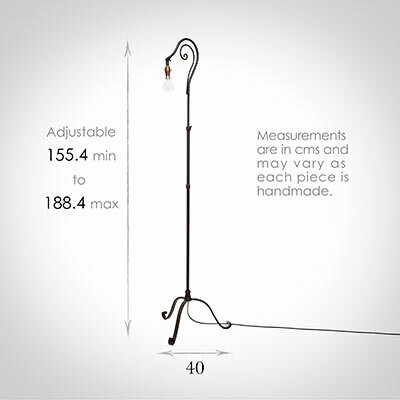 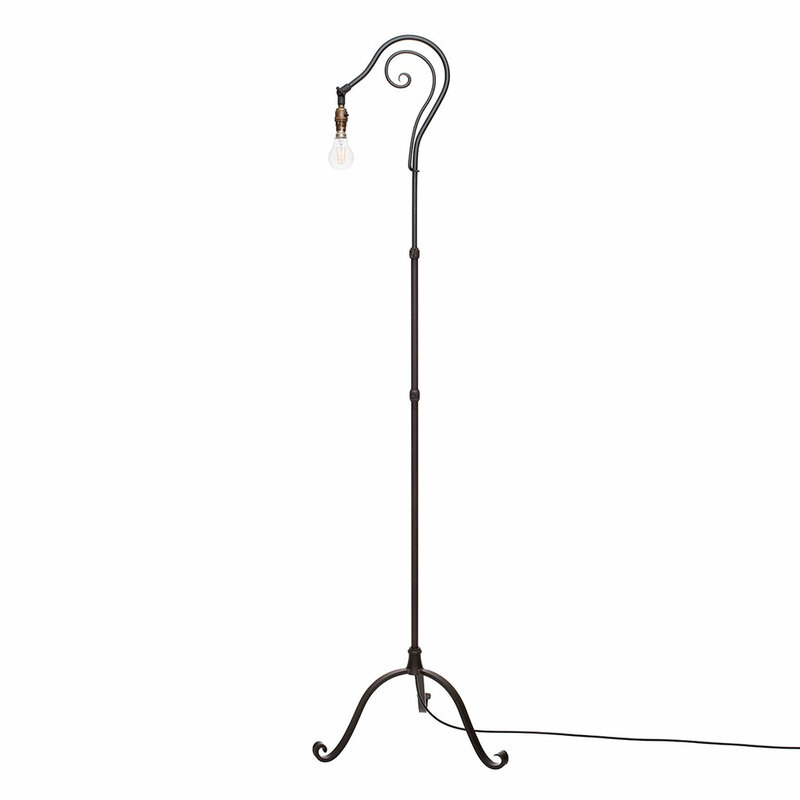 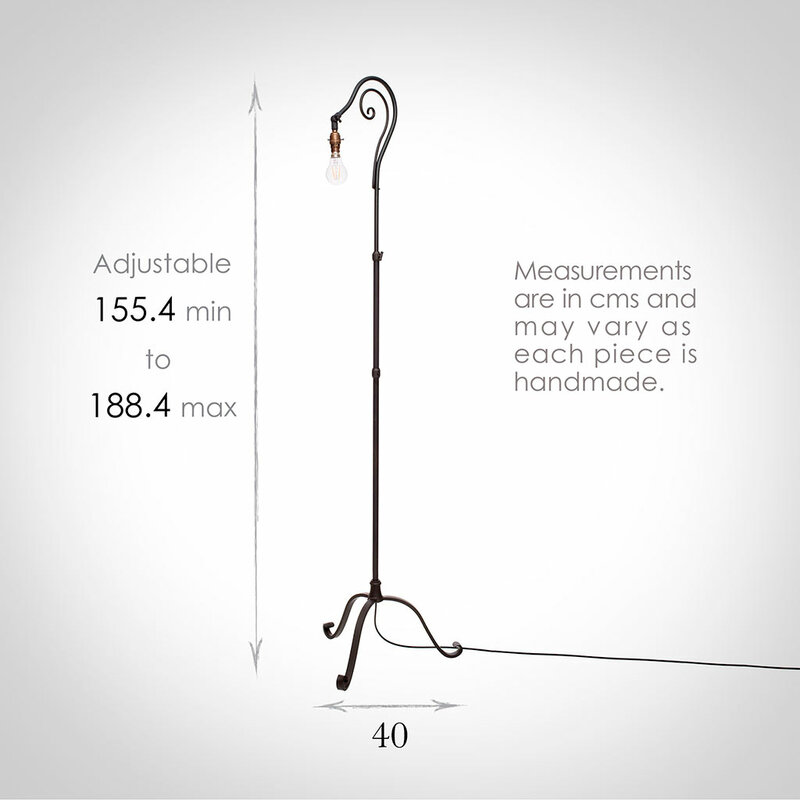 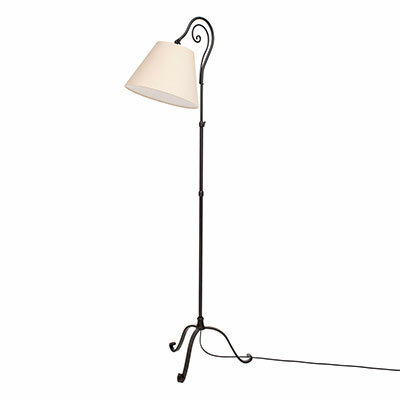 The lamp’s height can be adjusted between 153 and 217cm, making it ideal as a reading light. To explore the range of pendant fitting Empire shades that will fit the Brompton, please look here.